Why choose Clear Nail Laser Clinics? Clear Nail Laser Clinics are Australia and New Zealand’s only specialist clinic dedicated to treating nail fungus using cold laser. Accordingly, we’ve invested in being the best at treating it. Proven cold laser equipment and development of best practice pre and post treatment protocols mean we go further than any other clinic to treat the condition and our record reflects this. What is the success rate of Lunula cold laser? 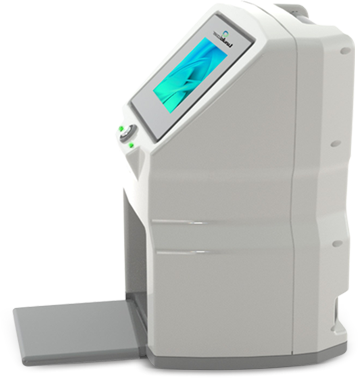 The laser machine used by Clear Nail Laser Clinics (Erchonia’s Lunula laser) achieved a 84.3% success rate treating a range of nail fungus within 48 weeks in a clinical trial . We are unaware of any other treatment with this level of success. What is nail fungus and how common is it? Nail fungus or Onychomycosis is common condition. Around 10% of the population experiences this infection at least once in their lifetime. It’s prevalent among men and women and is particularly common among older people. It occurs far more frequently on toenails than fingernails. The treatment for fingernails is similar, so there are no differences in the treatment process. It is most common in the elderly, people playing sport, tradespeople and those who work in hospitality. Why should I have my toenail fungus treated? Nail fungus should be treated as soon as possible. It’s cosmetically unattractive and non-treatment can cause the nail to blacken, become brittle and in severe cases, it can become malodorous. Nail fungus can adversely affect your self esteem and may impact your relationships. Furthermore, it can be really painful, particularly if the nail is ingrown. How quickly will I see a change in my nails? Why do we recommend weekly treatments? After a week of boosting your immune system and weakening the fungus, your body is ready to be supported again in its fight against the fungus and the fungus can again be weakened to ensure success. More frequent treatments may compromise the rhythm of the body overcoming the fungus. How do I know whether I have nail fungus? Are the treatments covered by my health insurance? We use two lasers simultaneously and each plays a separate role and operates at a different frequency to impact in a different way. The two frequencies are 405nm and 635 nm. 635 nm laser beam – This beam increases blood flow and improves your immune system’s response to attack the weakened pathogen. ie. This laser penetrates below the nail bed and stimulates the cells and blood flow to encourage your body’s own immune system to overcome the nail fungus.The laser treatment lasts for 12 minutes per foot. How does cold laser differ from other treatments? Will I be cured forever after this treatment? We expect nail fungus on your feet and hands will be killed by the combination of the laser, post-treatment steps and your body’s natural immune system response, therefore the likelihood of reinfection is low.